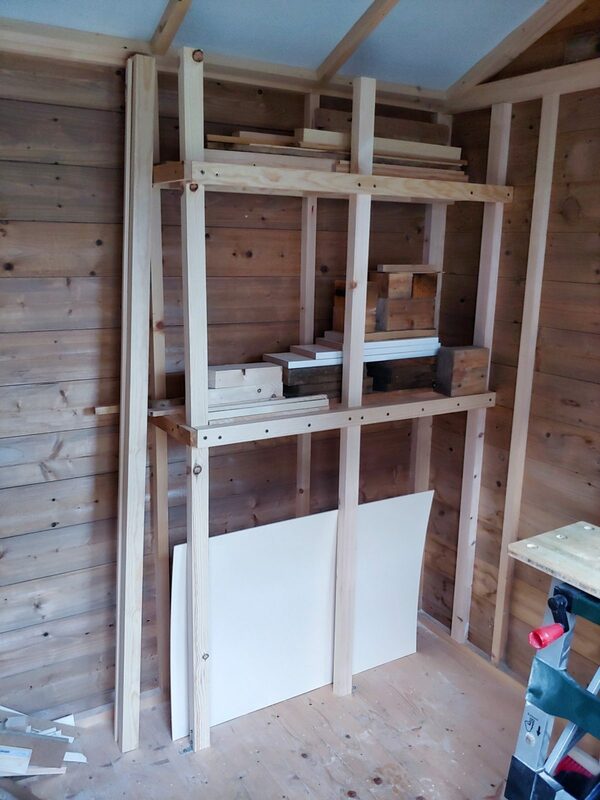 I needed some place to store my timber and plywood/MDF sheets. 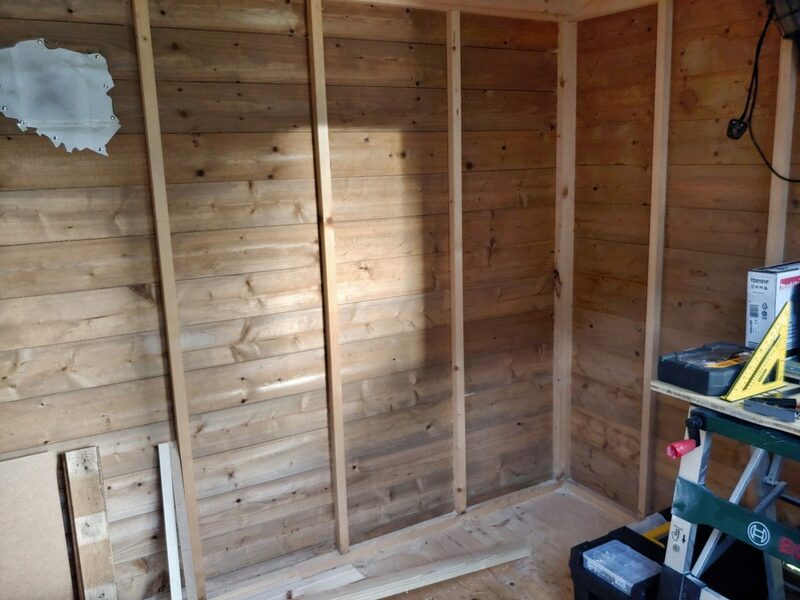 Something quite small, to save space in the shed and big enough to accommodate a 4′ x 2′ sheet. 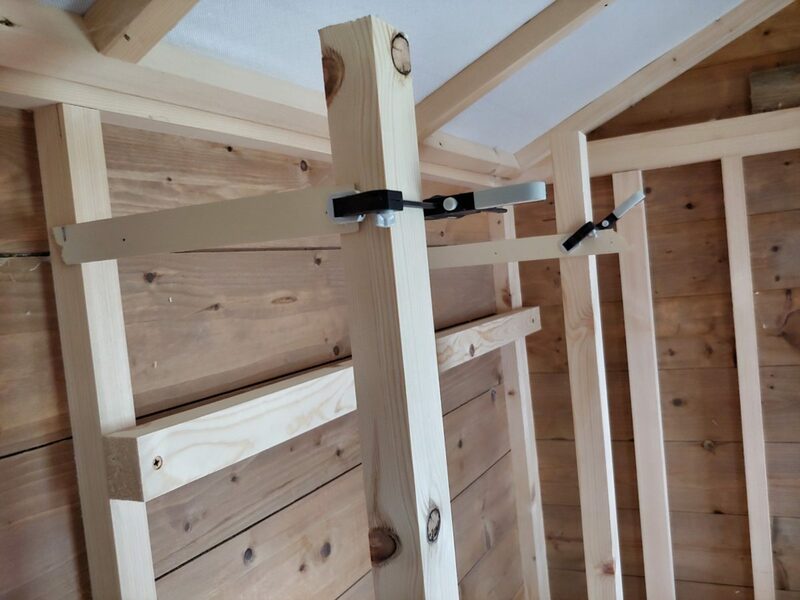 All elements were fixed inside the shed except for the one that I started with. 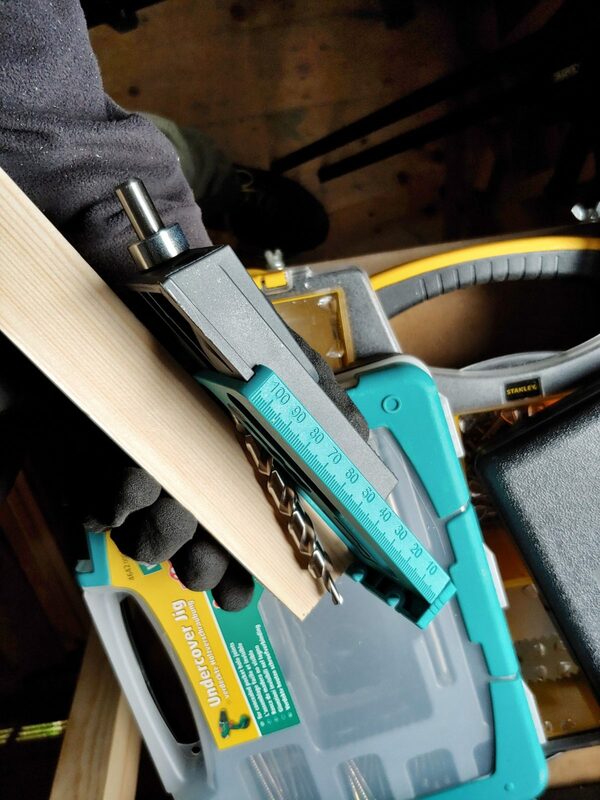 I didn’t have an extra hand so I improvised with temporary supports. 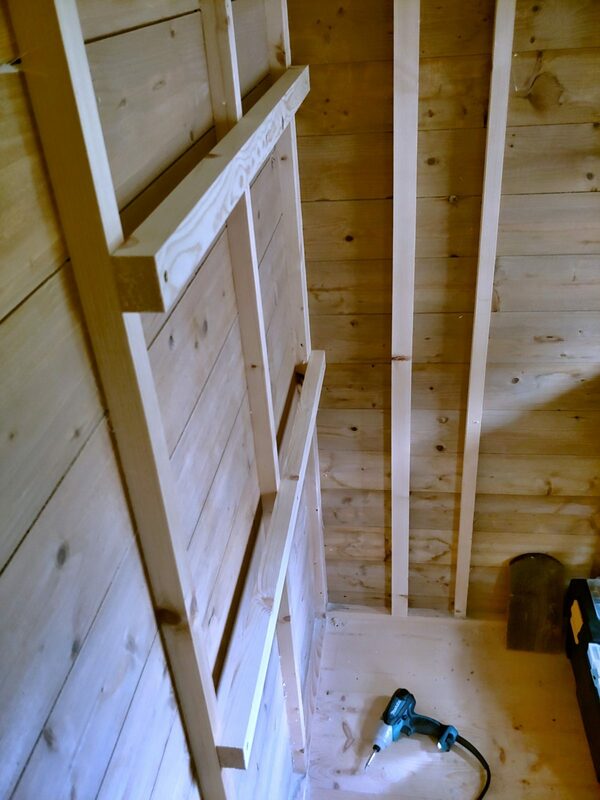 Once the frame was done I prepared for pocket hole joinery. 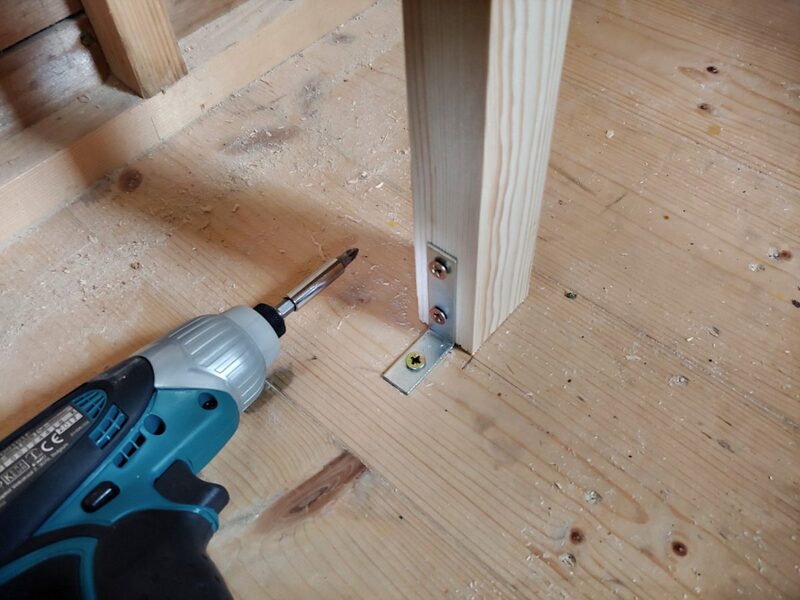 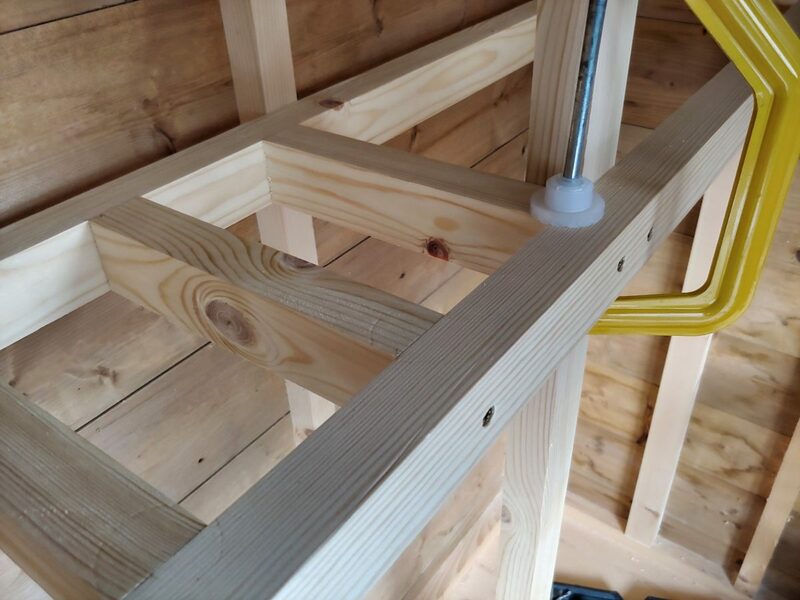 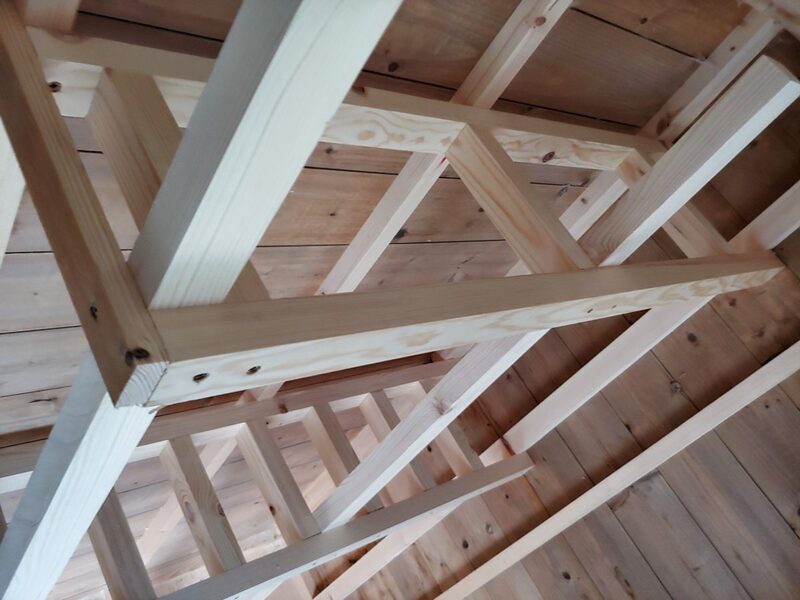 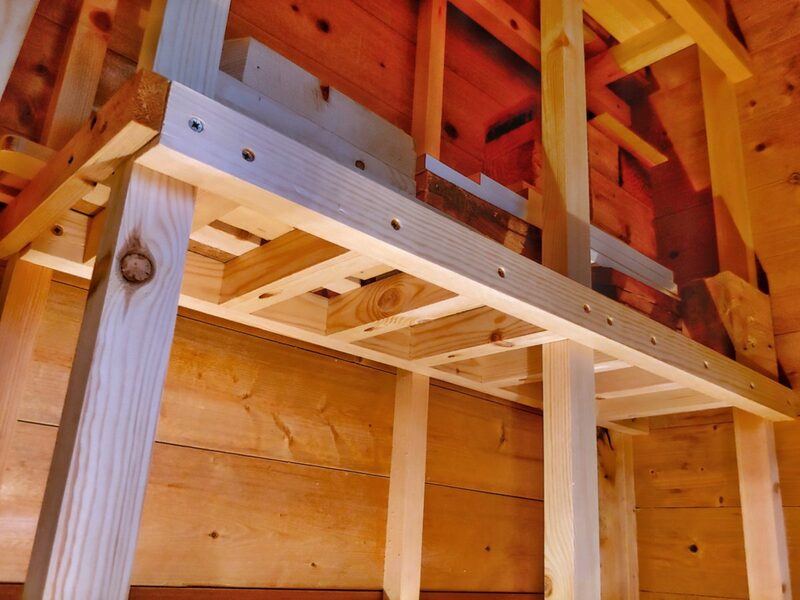 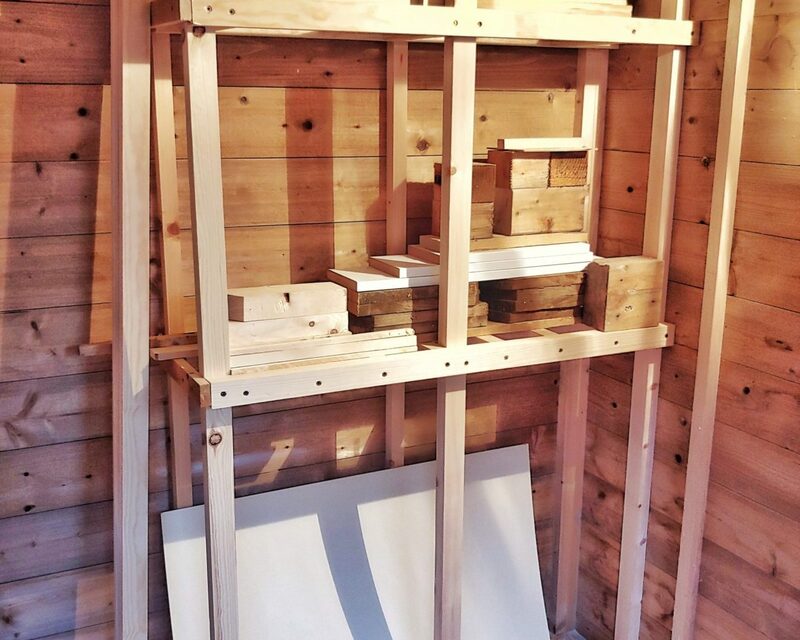 The lower shelve is built for shorter material (shorter spacing) and the upper one for longer pieces of timber. 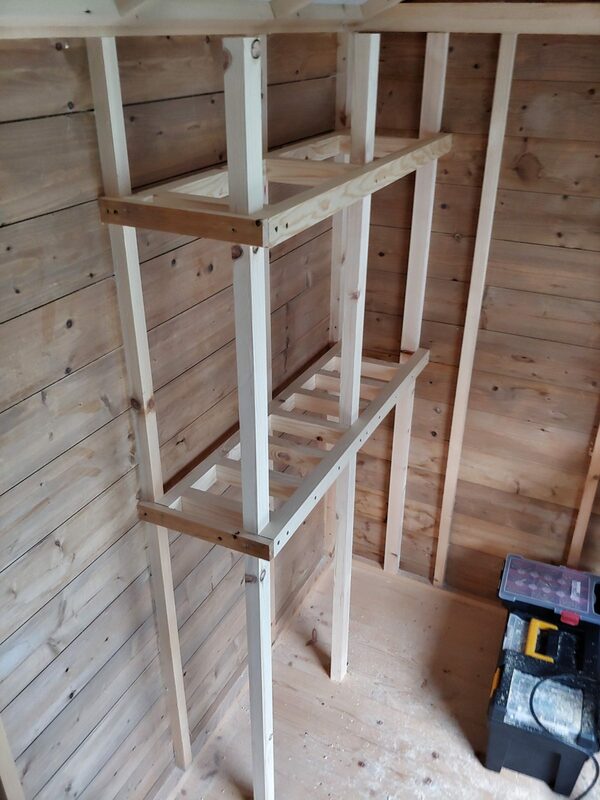 It has the right size and it’s very sturdy. 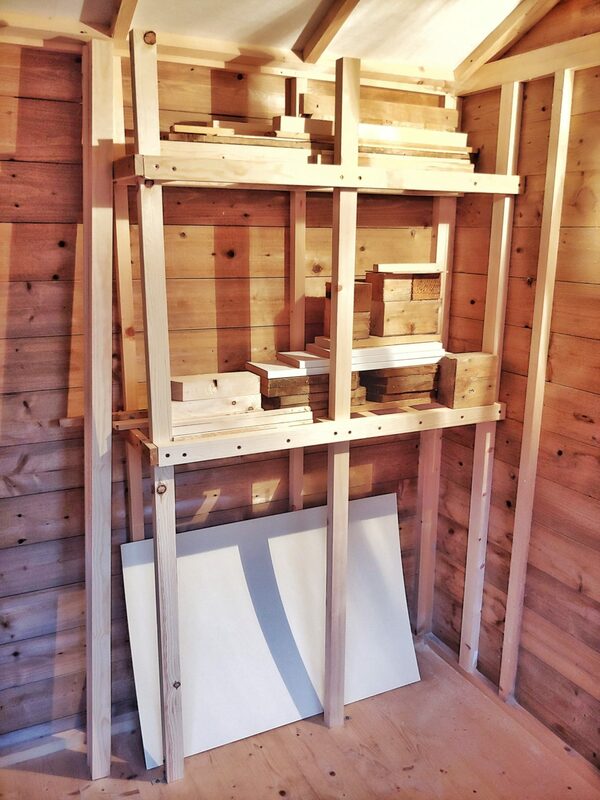 It will help me to store more than pallet wood. 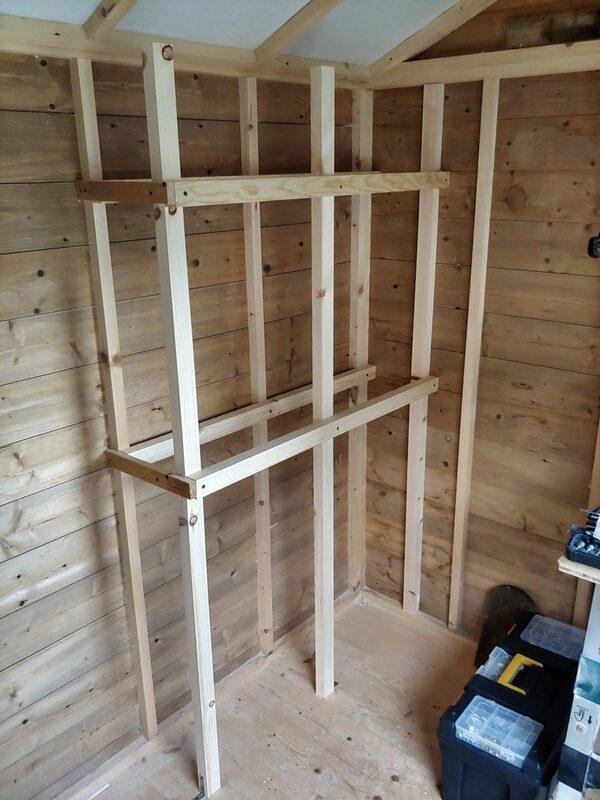 1.2 x 0.6 m sheet of plywood is not a problem anymore, neither 1.8 m long posts as they can be stored upright leaned against the shelving.